Our panels of specialist advisers are made up of experts who can help schemes move through assessment as effectively as possible. 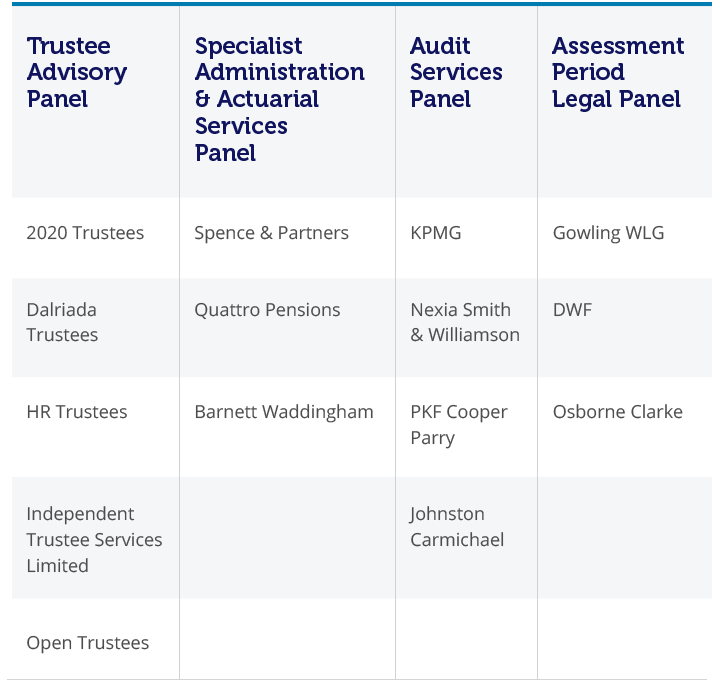 We have appointed panels of qualified trustees and advisers, who are experienced in our processes and requirements,to help take schemes as efficiently as possible through the assessment period. This helps provide more certainty to members and reduces costs to levy payers. Specialist Administration and Actuarial Services Panel.